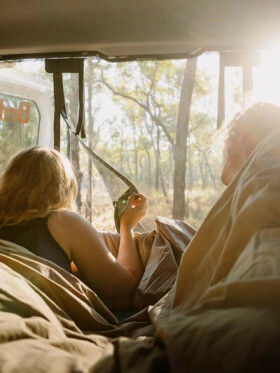 "DO NOT HIRE FROM JUCY UNTIL YOU READ THIS"
Jucy Australia is a dynamic campervan rental company focusing on the youth market looking for quality campers. That being the case they are one of the rare companies that rent to 18yo+, not just 21yo+. 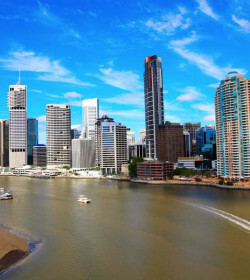 They operate mainly on the east coast with depots in Cairns, Brisbane, Gold Coast, Melbourne, Sydney, Adelaide. Jucy offers the traveller 2 and 4 berth campers that are priced reasonably. 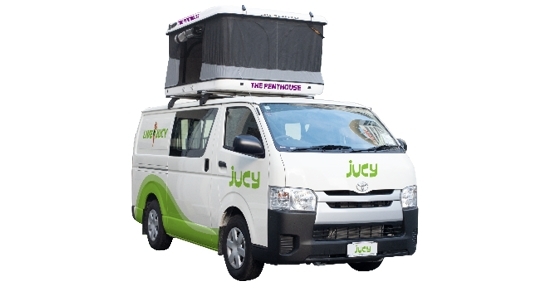 Jucy Campervans was established in New Zealand in 2001 and has since expanded into Australia and the USA. They now have approx. 3800 vehicles but many of them are cars, not just campervans. 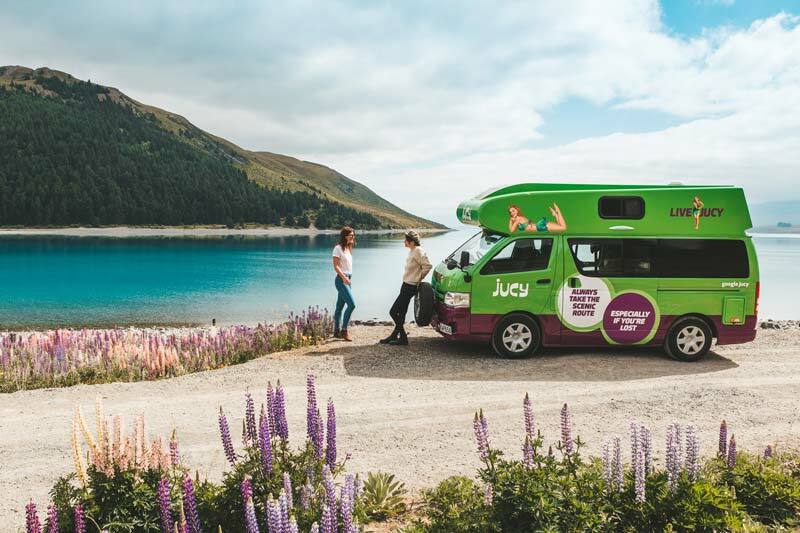 In Australia, Jucy has exploded in popularity, largely due to the quirky sensibility driving the company making it the largest independent company outside of the Britz and Apollo families of campervan hire. Jucy brands itself as bright, vibrant, and fun – a youth-oriented approach rather than focusing on serving retired couples and families. 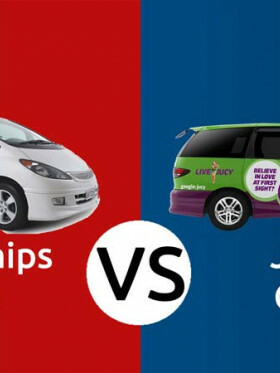 But has Jucy Campervans Australia succeeded because it delivers a great service to its clients? Or is Jucy popular simply because they’ve marketed themselves so masterfully? Jucy Campervans is a family owned business, independently owned and operated. The father of the boys that own it actually started Maui brand motorhomes that are now part of the largest motorhome family in the world – THL. 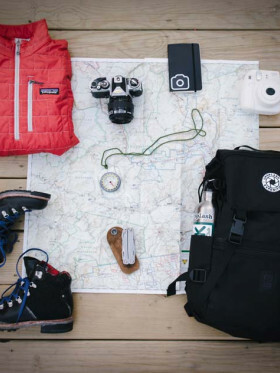 This allows the company to focus on customer service and on creating a very focused company culture that’s tailor-made to appeal to young backpackers. This emphasis is made even stronger through the various articles and blog posts populating Jucy Campervans Australia’s website. 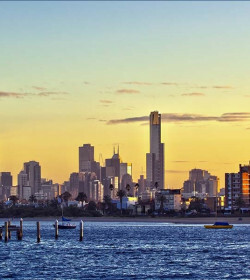 The content Jucy provides vacillates between offering helpful travel tips to travel guides for popular Australian destinations to safety tips for the open road. 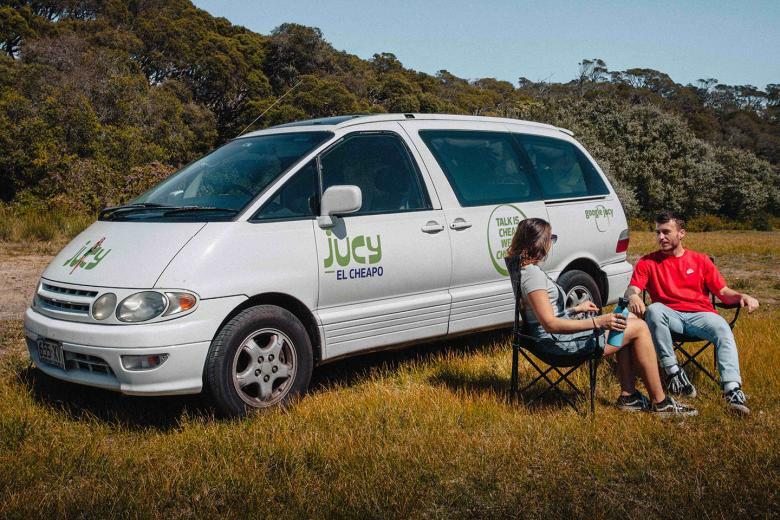 While Jucy Campervans Australia isn’t the only campervan rental company looking to capture the youth market, they work a lot harder than most of their competition to provide some real value to rope those customers in. It doesn’t take much time before you realize that Jucy Australia offers some great vehicles to choose from. Unlike much of their competition, Jucy has chosen to focus on providing just a few different types of vehicles to choose from. 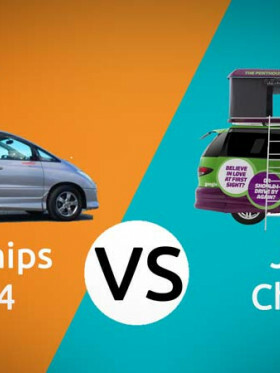 When you rent a Jucy camper you can choose between the Jucy Crib and the Jucy Champ, the Condo and in 2016 they added the “Casa Plus” motorhome. They are the same models that are available in New Zealand, they just have different names in Australia. To begin the Jucy fleet, let's have the ever petite yet highly functional sleeper for two people on tight budget. 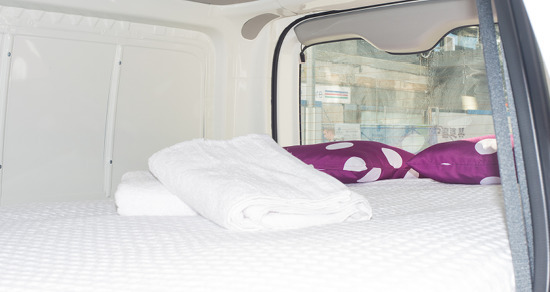 The El Cheapo Sleeper is the smallest and the cheapest campervan option, suitable for couples who wouldn't mind the limited interior space. It allows you to experience an unassuming road trip packed with basic amenities including a small kitchen with gas cooker, fridge and kitchen sink, a nice double bed and CD player for nonstop entertainment while cruising the panoramic roads. Also, with this type of camper, there is no awning supplied for the back door, so you are fully exposed to the elements when cooking. Originally these campers were very similar to their direct competitors, Spaceship Rentals, however, it could be argued they have since left them in the dirt. Distinctively, the Crib is replaced with a forward facing row of seats with a rearward facing bench seat. This will make for a much comfier bed when folded out and better for eating with the interior table. Whilst the kitchenette is at the rear and you must cook with the back door up, the quality of the equipment in there is quite impressive. 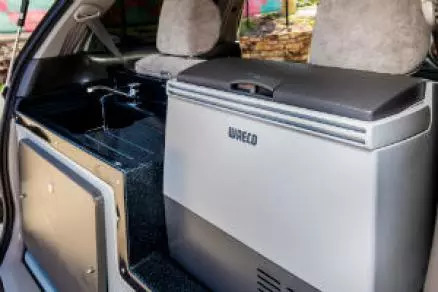 Even though this is the basic model it still has a fridge, however, the size is a stingy 18L and Waeco brand is far from the best on the market. But a fridge is a fridge and the fact that it's in there is a great plus for Jucy campers. Previously the Grande, the Champ seats 5 peeps but can only sleep 4, and we are looking at the lap of luxury with this campervan. Bench seats in the back mean you can face each other over the table at dinner, and whilst the cooking facilities are still at the back door, they have increased the fridge to a much more respectable and usable size. The rear kitchenette is very well laid out and modern – a credit to the designers. The only problem might come when it comes to sleeping. 2 people are going to be on the roof in the “penthouse”. This is very much like camping in a roof tent with a few little extra luxuries like auto pop-up and some built-in lights. You might have to flip a coin to see who is going to this bed as it is not going to be as cozy as the double bed inside the campervan. The upgrade in 4 berth from the Champ is the Jucy Condo. This is their equivalent to the ubiquitous Toyota Hiace Hi-Top that most the other campervan hire companies use. 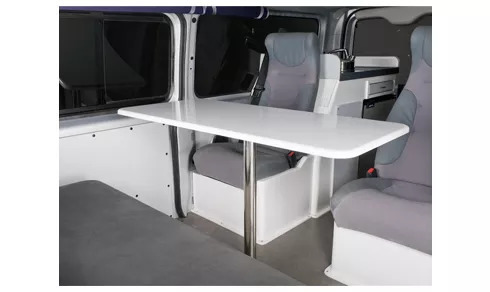 They have done a great job in converting the campervan using a Nissan model that allows you to stand fully upright inside. The Condo, like The Champ, can seat 5 but only sleeps 4 people: 2 peeps up, 2 peeps down and all are inside the campervan. Cooking facilities are entirely inside the vehicle and the whole campervan is kitted out in style. There are a 15″ LCD TV and a DVD player, a sink with greywater capture, dual battery, blinds on all windows and plenty more. This is an impressive conversion. Also handy are the pouches that are lining the upper walls, these are great places to store things you need daily like toiletries, flashlights, and other small things. The Jucy Compass is a relatively new addition to the Jucy fleet, showing that Jucy is always on the lookout for ways to improve. The Compass is a stock standard motorhome built on a Toyota Hiace - 2017 or newer that is designed for 4 people. It has not really been modified by Jucy except for the branding paint job. That being said, it is a pretty plush ride. Cushy new seats, permanent table, 50 ltr compressor fridge, TV, DVD player and the only model Jucy that has with a toilet. 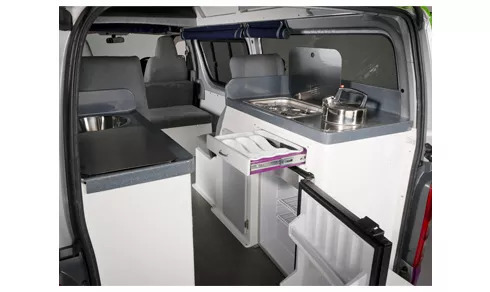 Hence, it is claimed to be self-contained campervan that includes a kitchen with a sink, two hob cooktop, cutlery, crockery and utensils and two double beds complete with bedding and even towels. Jucy offers three insurance options: the Risk Taker with no additional amount but excess is at $3,000, the Chance it at $20/ day for an excess of $1,500 or the Stress Fee at $19/ day for a $0 excess. Over the years, all the work that Jucy has made has paid off in a community of clients and customers that are fiercely loyal to Jucy Campervans Australia and appreciate all of the decisions the company has made. One of the biggest reasons Jucy Campervans Australia has engendered such loyalty is due to the care the company provides their vehicles. Before you pick up your rented campervan Jucy performs a thorough computer-monitored inspection overseen by two employees a vehicle. 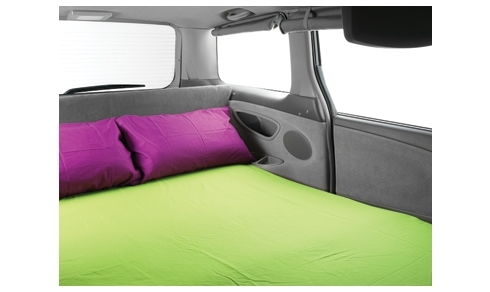 All in all, the Jucy campervans are very nice – we like them! They will drive like a car and all have an automatic transmission, power steering, and air con so during the day you can feel like you are in the lap of luxury in a normal car, and at night you can happily curl up and sleep. With affordable rental rates and reasonable fees for short-term one-way rentals, Jucy Campervans Australia offers a level of flexibility that’s rare in today’s Australian campervan market! If you're with a family, just make sure you are okay with sleeping in a tent on a roof and emptying grey water collection from the sink. Jucy Campervan hire has done a great job standing out from the crowd. This is going to be great if you like standing out, if you don’t, the bright colors and original layouts might not be up your alley. You can also look for Jucy in New Zealand where they are the 3rd largest player, and they have also taken their bright purple and green to the US where they are expanding rapidly using a business model that is not common there. What should have been one of the most fun parts of our 2 month trip to Australia turned into one of the most frustrating, tainted by a joke of a camper van and appalling customer service. Jucy aren’t Juicy, they’re dried up and tired old camper vans backed up by simply appalling customer service. They look new and fun on the outside but they're tired on the inside. When we were first presented with the vehicle we tried to swap it in Melbourne but there was no backup vehicle. All of the staff in Melbourne were clock watching and whooped as we left. Apparently they're known as the “cheap and nasty” - as told to us by a local mechanic. There were 272,000 KMs on the clock. What would have been a great camper van in its day is now way past it’s best-before date. Knives not sharp but otherwise the supply of utensils, crockery and cutlery was sufficient. The aircon was temperamental and would suddenly stop blowing cold air meaning we had to turn it off, leave it for a few mins and turn it back on again. When it was 35 degrees+ this was hard to deal with. Vehicle is MUCH older than we anticipated - it was advertised as 2016 or newer but ours was registered in 2014. The fridge door was dodgy and didn't always latch. The suspension was awful and bounced around all over the place. The passenger window electric up/down switch sometimes worked. The glass in the same door was also about to dislodge. Smelly in the van, especially at night - it's like a musty smell, old. Something beneath the stove keeps turning on intermittently whenever the van is connected to power. Possibly a fan? Does this all night long and wakes you up. The sheets are poly-cotton so not breathable and quite sweaty. Sheets were also stained. No idea how 4 people could possibly share the space though. It’s a perfect space for 2 but no more. 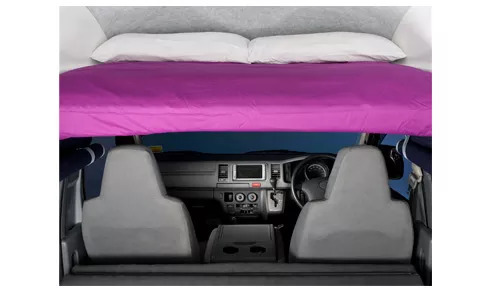 The central piece that goes between the two back seats when the bed is down is dangerous - if you sit or stand on it it collapses and you injure yourself. The external table is knackered and not flat meaning it’s hard to use for anything except a dumping ground for bits you’ve used after cooking. We were provided with a pathetically short refilling hose for topping up the "fresh water" so we had to manoeuvre the van in crazy ways to get to the taps. The seat belts don’t tighten, they lay slack and get trapped in the door. 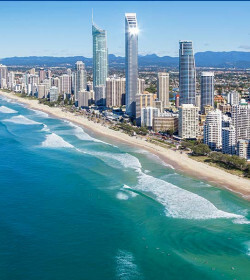 The only decent service we received during the whole hire was when we dropped the van back to Gold Coast and met Steve who was a breath of fresh air and super understanding when we explained our plight. It also became obvious that we had indeed been provided with an old banger as all new models are Toyota. He also noticed that the dvd had been removed without me saying it. I think the feedback and on-road teams could learn a lot from Steve. His customer service skills were natural and uncomplicated. If I were to hire again I would spend more time reading real world reviews and go with either Britz or Apollo who seem to know what they're doing and are also competitively priced. Had the unfortunate experience of renting a van through Jucy. All seemed well until the first nights camping when we realised the hob starter light didn’t work, an ominous sign. The next night when rain started pouring we discovered the van wasn’t water tight, bed got soaked completely and the roof leaked on the floor of the van. Then we realised that the van wasn’t even secure, you could slide one of the windows open from the outside, hardly reassuring. Finally the water pump for the van stopped working, all of this costing towards $3000 for the privilege. Customer service afterwards was dreadful, absolutely no reassurance that these problems would get resolved or that they really cared about the issues raised. I used Apollo for a previous trip and had precisely 0 issues with the van, so what does that tell you? "Austraila , affortable, ok but short on power and only really for two"
The condo unit was outfitted with the basics. The unit isn't that new but hey for the money what does one expect. Power was minimum and used fuel more than expected probally because the small motor was maxed out. Three of us traveled for two weeks , all adults had fun seeing the north gold coast. The lower bed when made up had a cushion that dropped through to the floor leaving a gap in the bed was a pain but not the end all. It was nice to have low drop fee for another city other than the pickup. Also the key for the unit was a pain to use had to fiddle with it to get doors locke/unlocked, would be nice to have a spare incase it broke or something so we had a spare cut which they did reimburse us for. Overall nothing special here just the basics if thats what you want , keep your expectations down you wouldn't be disappointed. "Jucy campervan at Melbourne Inkerman st."
When we returned the campervan, after checking was done, the receptionist ladies, told us that we didn't fully fill up the gas. The gas was filled up by us but they were not satisfied, saying that the gas indicator was slightly below the max point. One of them, a blonde lady, with such idiotic attitude and was damn bloody rude, began arguing with us, insisted to charge us aud30 just for the service to fill up the gas. In the end after much debate, she let us go without any charges. But the stupid attitude of hers, being so rude to customers, that is totally intolerable. The other lady was good but I guessed she couldn't care much about her colleague. As for the campervan, they gave us the wrong power cord that doesn't work at all. We ended up not charging the vehicle for the camp site we paid for( powered site). Hey all! I find reviews here very helpful so decided to take some time and write a small review on JUCY and Britz rentals. We drove a JUCY condo from Melbourne to Great Ocean Road, Grampians, Kangaroo Island and Adelaide. The car was a bit small for 4 people, the beds were not very comfortable but it was still better than sleeping in a tent :)). The top bed was so small, you hit yourself against the roof every time you turn :D only petite women and children really fit there. The fridge was a bit broken and didn't want to close fully. The TV in the van didn't work, the car battery died on us once randomly, the cooking gas wasnt filled up before we started driving, they gave us the wrong cord for charging the car so it didn't plug into the car at all :D, the speedometer didnt work properly and was stuck on "0" for the first 15 minutes of every drive, the car carries greywater so it takes more fuel and overall it just eats up the fuel sooo fast (sorry cant remember exact figures)! The engine is not very powerful so it's really annoying to go up hills. They gave us the wrong measurements for the car when I called them up so we had a bit of trouble on the ferry to Kangaroo Island :D Also, when we returned the car they told us that we hadn't filled up the watertank although we had done it :D The sound system was really bad and it was more expensive than Britz hitop (but the hitop only fits 2-3 people as well). There were some PROS as well! The staff at Melbourne was friendly although we waited for the car a longgggg time. Also, there was enough storage space for food and the sheets and towels seemed clean :) so that was good! But yeah for 4 people with luggage, it was a bit small I would say. We hired JUCY again when driving around Cairns, Tablelands and Cape Tribulation (2 people this time). We hired the cheapest car, Fiat. It was not powerful at all so it was annoying when trying to accelerate. The car was clean and reliable tho, for 2 people it had enough space and it was very very efficient with fuel. It was semi-automatic which took a bit of time to get used to. The sound system was ok but you might want to have a cd with you because the car couldnt connect to any of our media devices. 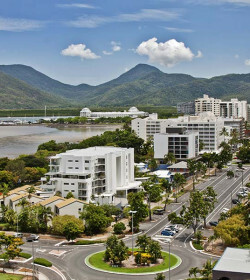 For us it was a huge bummer :D The staff was good in Cairns, friendly and helpful :) It was good value for money! The staff at the Jucy office were amazing and the camper was just perfect as well. I had no problems with the camper at all and was very happy with its interior and exterior. I thoroughly enjoyed my Jucy experience and would do it again in a hearbeat. Go Jucy! TERRIBLE service and dodgy processes!!! I booked 7 nights with a Jucy Cabana van in NZ and later added on an extra day. I paid $1400 NZD in total, which is already a ridiculous price for a 'budget' camper option. A little while later I had to cancel my entire booking due to unforeseen circumstances. I was entitled to a full refund and called the company to let them know. The refund for my first 7 days was quickly processed without any issues. However, the refund for my additional day (240NZD) did not go through. This was followed by over a months worth of calls and emails trying to get my money back! I was put through to a different employee every single time and given excuse after excuse. I provided bank statements, account details, proof of booking, EVERYTHING! and the money never came! I was given a form to fill out with my details, which I filled out and sent bank. Only to to receive a reply from another employee with the same form to fill out again! I am absolutely disgusted by the service i have received. How hard is it to process a simple refund?? it seems completely dodgy to me, no respect for customer service and the value of money. I am still battling to get this money back with no luck, over a month later! Will never be booking with Jucy again and wouldn't suggest it to others. "Review of my Jucy hire"
"no fly screens- prepare to be bitten!" We relocated a jucy combo from cairns to Brisbane in 5 days so didn't pay for the camper. If I had I would have been really annoyed as the camper only had one side opening window in the back with no fly screen. It is impossible in the Queensland climate to sleep with just the roof window open and even though we bought a fan, we had to have the side window open and we were bitten alive by mosquitoes. We mentioned it at the depot and were told that many other customers have made this point but the company does not do anything to resolve this. I understand that the campers were originally designed for use in NZ and that's why there are no fly screens. Would definitely avoid hiring on in Oz for the foreseeable future. The bed was comfortable and the kitchen area serviceable and user-friendly. It was a terrible gas guzzler though! In terms of their excess insurance policy- it is expensive but you can get excess car insurance seperately and save a packet. We used carhireexcess.com.au but there are loads of other companies that do it. As if the review doesn't say it clear enough! This is choice brand company, no wonder they are 3rd largest in the market. Highly recommended. Remember some of the cheaper models are the oldest though and don't expect perfection if going cheap. To cover a few other things, the van ran smoothly enough and motored along well. The tyres were good but the locks on most of the doors were definitely on their last legs, there was a knack to getting the doors unlocked that you got used to after a few days. The thing about the beds not staying put, yeah it happens and it is annoying but won't wreak your holiday. The one thing I would recommend is to check the oil as soon as possible. I didn't need it to go very far so when I saw it only had about 1/3 of the dipstick I didn't have to worry, but it would have been a very big problem had I been unaware of it and trying to make my way up the coast like many people would. I think only Camperman Australia offers free toll road. See on their website "Road Tolls Fees Included"
They very smart about taking the "hidden money" of you. They just charged me 240 $ for FORWARDING TO ME 4X60$ for each NOTICE, THAT I DID NOT PAID 4 TOLL FEES IN OZ few months back. They were very unhelpul in toll fee case when i was returning the car. I ask them for help to check if there are any unpaid tolls and have been told that they cannot check it for me!! They knew there will be some tolls to be paid and 60$ for each notice on top of each toll charge is just ridiculous and sounds like great deal for them! Finally i could rent for that price much better camper, in better shape, better equipped etc. A couple of friends and I rented a "jucy grande" for 8 days for a trip from Cairns to Sydney. We showed up at the earliest time available (10 am) at the Cairns branch and waited one hour before being talked to by a "jucy" employer, not without some complaining after they let some customers jump the queue "just because they have to do a 5 minutes paperwork". We choose the stress free cover to be stress free... or almost. But I'll get on this point further on. Since on the faq section of the "jucy" internet site it says that : " Adding an additional driver is easy. Either call us or email us and provide us with the following details Full name Date of birth Licence number..."
We produced all the details of a third driver not present at the pick up location only to be denied to add him, and being told that we could add it at the next branch which is only 1600 km away (Brisbane). A bit disappointed, nonetheless we hit the road, realizing too late that that 300000km on the clock "jucy grande" was not so grande. The stereo had the volume knob missing, the aux jack socket not working and half of the speakers not working. The blankets, pillows and duvets were so stinky that we had to sleep with the face close to the window, trying to breath some fresh air. The central bench was not provided with a locking mechanism, making it impossible to sit inside the van without sliding forward. Can you imagine try to eat in those conditions? I stop here otherwise I'll get too long. Furthermore, they never even bothered to answer or apologize to the complaints. Be careful when you choose a van to rent, there are many more companies in Oz that put less effort on advertising and more on serious things. Here is a copy of my email to jucy rentals. NOTE: THEY HAVE NEVER REPLIED TO THIS !!!! I have found difficulty in finding the appropriate email address for your complaints department and would therefore be grateful if you could forward this email to someone qualified to deal with it. I recently hired one of your Jucy campers between the dates of 7th Jan and 23rd Jan 2014. The vehicle was collected from Cairns and returned to Sydney. On collection of the vehicle I was presented with a camper that had not been fueled up and serviced as expected. There was no water in the water tank and no water in the windscreen washer reservoir and the parking brake was inoperable. After filling the water tank that feeds the sink, I had difficulty in pumping any water through, until a unacceptable amount of water was managed to be pumped through containing sludge and debris. The tank took much filling before clear the water emerged. The above was discovered when I had reached Port Douglas, after leaving Cairns. Further issues were then discovered once I had set up at a camp site. Neither of the DVD players worked and I was therefore unable to play any of the films I had purchased. The netting that covers the opening to the upper sleeping area was ripped and was totally inadequate for the purpose of keeping out insects and the bedding supplied was found to be smelly. I chose the duvet or doona, that was least smelly and used that for the first two weeks of my holiday. After two weeks of use, I then washed the duvet and had no option but to use the second duvet, until the one I washed had dried out. The next day, I noticed that I had, what I thought were a significant number of mosquito bites. After the next night, I found many more red blotches over my body (arms, legs, feet, back, chest and buttocks). On further inspection of these red blotches, I began to suspect that they were not mosquito bites. I visited a local chemist to see if they might be able to identify the blotches and for some initial advice on treatment. The chemist identified the marks as those created by Bed Bugs and my internet search confirmed this in images and patterns of the bites. I was advised to use a skin cream along with antihistamine tablets, which I purchased and began to use. I immediately began to use the duvet that I had washed and the bites from bed bugs eased off, but further problems persisted due to the infestation of the camper and the fact that I had previously been keeping my clothing stored next to the bedding. On returning the camper, I explained all the issues I had experienced to the assistant who checked the vehicle back in. I showed her the red blotches and she confirmed that they were indeed bed bug bites. She was sympathetic and refunded me with two days of hire costs. She also took my phone number and other contact details and explained that someone with more authority would certainly contact me and discuss the discomfort I had suffered. 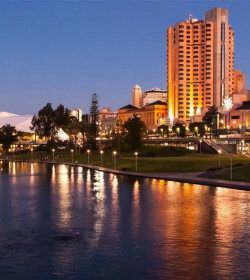 I left for the airport, as I was traveling back to Melbourne for the last few days of my holiday, before returning to the UK. Whilst waiting for my flight, I noticed an insect on my shirt and saw that it was a bed bug. I was horrified and realised that there was now a real possibility of cross infestation of bed bugs within my baggage. Once back in Melbourne and in my friends garden, I removed all my belongings from my rucksack and placed them on a large plastic sheet. I closely inspected all of my clothing and belongings and discovered only one live bed bug, but this did not mean that I hadn’t missed any. I then had to wash all of my clothes before packing them in my travel case prior to returning back to the UK. Once I was back in the UK, I continued with the treatment for the itching and only now, which is nearly two weeks after first discovering the bed bugs, have the symptoms disappeared. 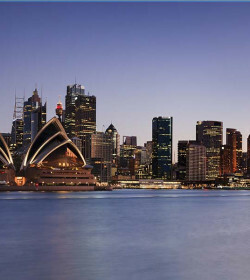 I was disappointed not to have been contacted by anyone from your company, whilst I was still in Australia and even more disappointed not to have been contacted since my return to the UK, especially since I have reported this issue on your email which asks customers to rate their experience. With the latter in mind, I will not be surprised to find that I will not be contacted. Perhaps the state of your campers on collection reflects the approach of your company towards clients too. I am prepared however, to allow another fourteen days for someone from your company to contact me and discuss the issues I have outlined above. I also realise that, there is very little I can do about these issues, apart from copying this email to any review sites available. We were totally spoiled with the Toyota Hi Top Hiace in Tasmania and grimaced when we saw the limited space in the Jucy Toyoto Previa Campervan. Terry couldn’t even sit up in the back without poking his head out of the sun roof and his feet were dangling off the bed for the entire week. Not recommend for anyone over 5 ft 9 inches! It came with the standard linen, basic cutlery (no cheese grater this time!) and a single small pot and two small gas canisters. When we asked the agent how long the gas canisters last, he replied “Not sure, every time I asked a renter upon return, they said they ate out the whole time!” Not surprising to say the least, after it took us an entire hour to boil a pot of water with the wind and lack of cover out the back! Needless to say, we ended up staying at Holiday Parks ($25 to $30 for powered sites) every few days to cook en masse to last us until the next time we spied a camp kitchen! We stocked up on cereal, PB&J, salad, granola bars, chocolate and made spaghetti, taco/burrito fillings and beans in large quantities so we could merely re-heat with the supplied gas stove. However, the car itself was slightly cheaper per day, had better gas mileage and was easier to drive (automatic transmission) and park in inconspicuous places (albeit the bright green exterior). If you are road-tripping for a short period of time, the smaller minivan will suffice, but for extended periods and for taller people, be prepared to be slightly cramped.